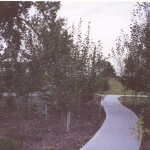 Much welcomed news from Gilman Park Arboretum is that paving of the 1.2 mile path is totally complete. 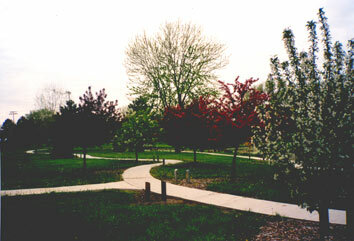 The four-foot wide sidewalk makes the entire trail accessible for all visitors, including the residents of Pierce Manor. A sidewalk extension provides accessibility right up to the door of the Manor. 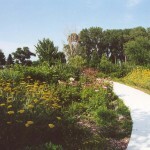 The project was made possible through the generosity of several local and area individuals and businesses. 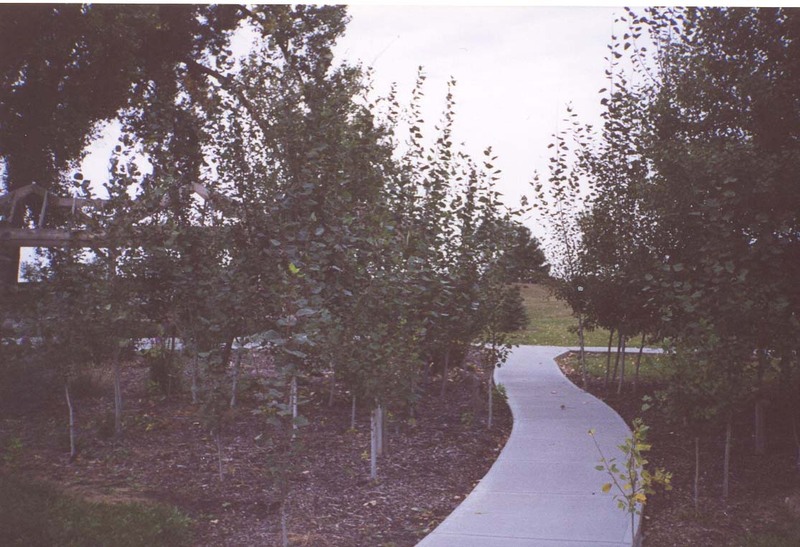 First of all, a $1000 grant was received from the Nebraska Statewide Arboretum’s Affiliate Excellence Program to get the project off the ground in 1999. 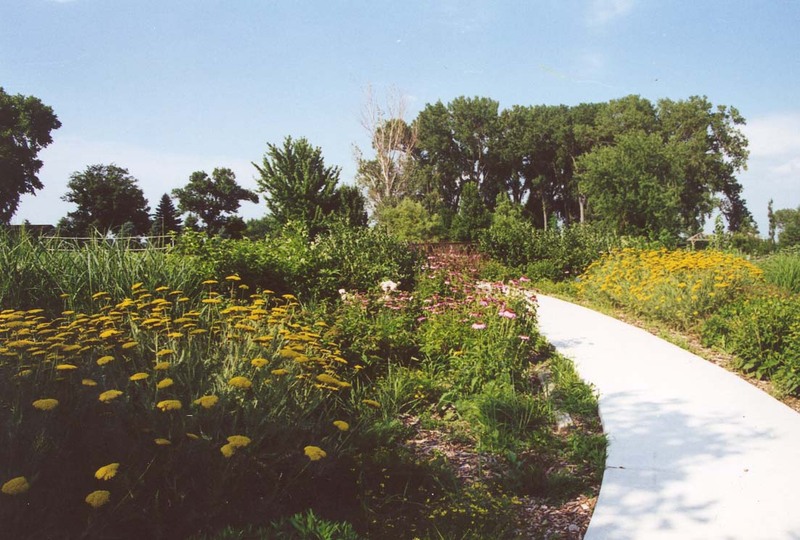 The City of Pierce budgeted $5000 per year for the next several years to pour the sidewalk in stages and generous partial donations of labor were extended from local contractors Ken Hoffmann and Mike Wichman. A reduced price on concrete from Gerhold Concrete and a donation of 1 ten yard load from Hartland Concrete also helped greatly. A huge “Thank you” goes out to all involved in making the paving a reality.